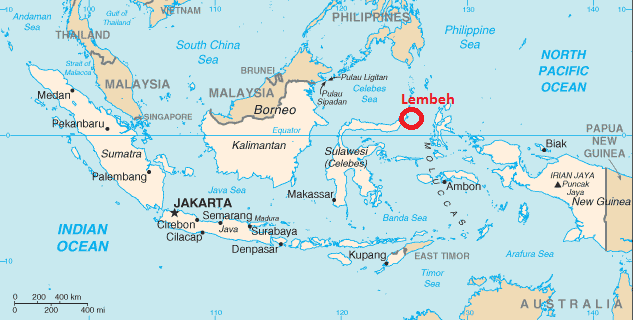 Manado is situated on the western coast of the northern tip of Sulawesi in Indonesia. 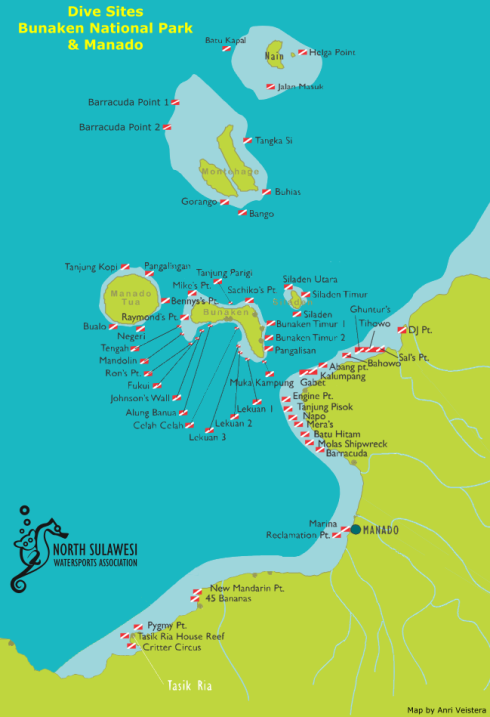 A fabulous diving destination in its own right, it is also a 30 minute boat ride from the Bunaken Marine Park which is an area of outstanding marine diversity. With many wonderful sites to choose from, the Bunaken Marine Park stretches over 75,000 hectares in the deep waters of the Sulawesi Sea. There are five islands that make up the park, Siladen, Montehage, Nain and of course Bunaken. The fifth one Manado Tua stands out quite literally as it is a magnificent extinct volcano which dominates the four others and the skyline. Most of the dive sites are amazing coral gardens and drop off walls, where you will have the chance to see beautiful coral reefs and colourful reef fishes and pelagics. The drop off can start at 5 metres and go down to 1300 metres. 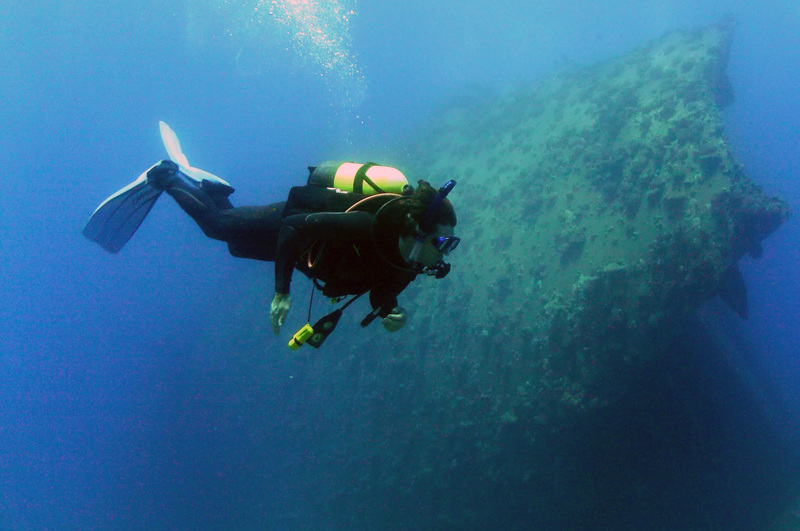 The maximum depth limit is 30 metres except for the Molas wreck where you will do a 40 metre dive. With the water temperature an all year round 26-29°C it is a destination for all seasons, with March to October being the dry season, and the rainy season starting around November through to March/April. The hottest/sunniest time tends to be June to September, but whatever the month, don’t forget your sun cream! 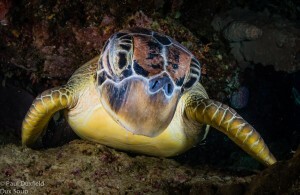 Although primarily a dive destination, the shallow reefs are also a haven for many different fish, starfish and corals, possibly even turtles, thus making it a wonderful experience for snorkelers also. With the coral disappearing into the deep, that’s where you will discover so much more! 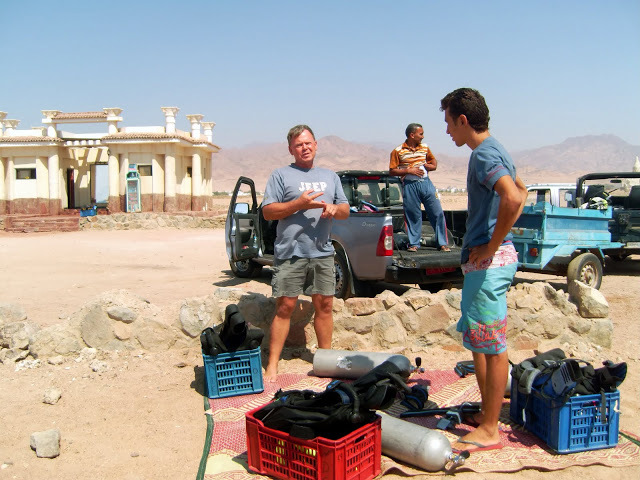 Due to the depths here, we recommend a maximum dive depth of around 25-30 meters, depending on certification. Located right in front of Tasik Ria Resort & Tasik Divers, these three sites run into one to another. Critter Circus is a gently sloping continuous reef with interesting critters to be found whereas Reef Balls got its name from those artificial concrete Igloo shaped structures, which have been dropped on the sandy slope and have become a perfect habitat for a wide range of interesting critters, including different types of pipefish, leaf scorpion fish and flatheads. The most amazing part of this area is the extensive sea grass beds in the very shallow area. Literally hundreds of pipefish can be found here, fingered dragonets, clown and warty frogfish, sea snakes, and nudibranchs. 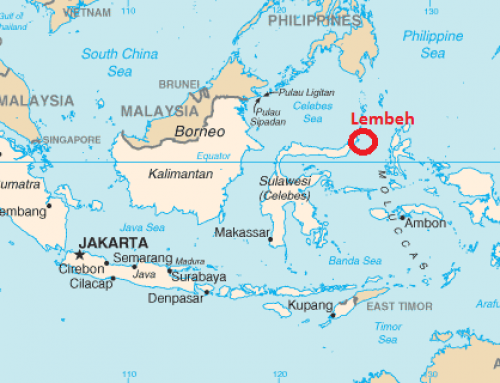 A wordplay coming from “Better than Lembeh”, describes this site perfectly well. A true “muck” dive like those found in the Lembeh Straits, but with warmer water and better visibility. In the shallow water extensive beds of Sea grass are found, where you can find different kinds of moray eels, pipe fishes, sea snakes, nudibranchs as well as seahorses and Frogfish. The black sandy slope has hardly any patches of reef but is full of concrete and sand filled bags with ropes attached, which hold the Oyster farm in place, which floats above water. Those offer excellent hideouts for an amazing array of critters and the ropes are used by big schools of long finned squid to attach their eggs. 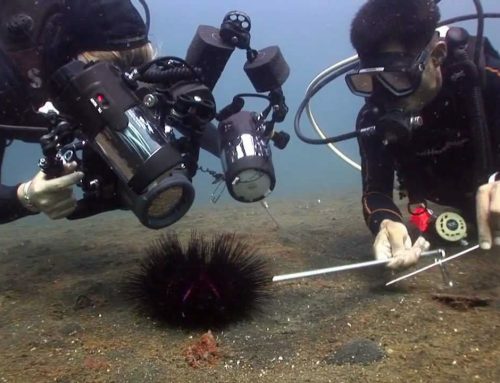 The whole range of “special” critters can be found on this site and photographers can easily dive here for days and days. Just 5 min navigation from the TR house reef, another gently sandy slope of patchy corals and black sand. Ghost pipefish, lager groups of cardinalfishes, and sandy dwellers like jawfish and lizardfish are very common. Who said that wonderful coral walls are only around Bunaken? Tanjung Kelapa starts with a white sand slope that continues in a vertical reef with hard and soft corals, gorgonians, and schooling black snapper all around. A must-see of the area. Arguably the best sites around Bunaken are Lekuan 1, 2 and 3. These are really the same site, but with so much to see are separated. With more shelter here and lots of large nooks & crannies to explore, you are more likely to find larger fish like Napoleon wrasse, bumphead parrotfish along with sea fans, giant sponges and turtles. Another long beautifully covered reef, located in front of Bunaken Island, which seems impossible to be done in one dive. With visibility often 30 to 40 meters, sightings of larger species such at blacktip sharks, turtles, and schools of trevally and Napoleon wrasse are very common. Start on the sandy slope, which slowly get into the wall part of the site. Bannerfish and Napoleon Wrasse are resident in this famous diving spot including school of Pyramid Butterflyfish. Small whitetip reef sharks can be found sometimes here sleeping in crevices. Continuing the first part of the famous long reef located in front of Bunaken Island is Lekuan 2. It is a vertical wall covered with different types of hard and soft corals, which have beautifully decorated this site and welcome a wide array of marine live. Great overhangs and small caves covered with soft corals combined with it’s crystal clear water are one of the main reason for wide-angle photographer’s to visit this site. Napoleon Wrasse and big Green Turtles often visit this area. It is also a good place to find Purple Dart and Sailfin Gobies. One of Bunaken Best dive sites, as it starts with a nice sandy slope with underwater pinnacles and continues to a wall, which drops to over 200m. Groups of Jacks and Barracudas are often found. Not to miss the small creatures that are resident to this site too, like cleaner shrimps, a nice variety of Nudibranchs and Flatworms to name a few. Gorgonians and big sponges decorate the wall in a magnificent way and complete it with a huge range of colorful fishes. This site offers a deep wall with large cracks everywhere. A great site especially with a bright sunlight passing through and brightens up the blue water. It is one of the favorite areas for photographers, due to its “lunar” landscape. 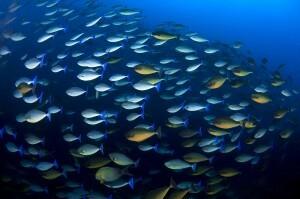 …tops out near the surface, with a wall that is alive with fishes such as fusiliers, surgeon fish, unicorn fish and bannerfish. Mandolin is named after the same traditional musical instrument due to its shape from a bird’s eye view. Small schools of Reef Fish, Angelfish, Bumphead Parrotfish and Gobies are there for your enjoyment. Not to forget the groups of large sized Barracudas, together with different colors and types of sea fans. In the deeper part, there is possibility to see Blacktip Reef Sharks. 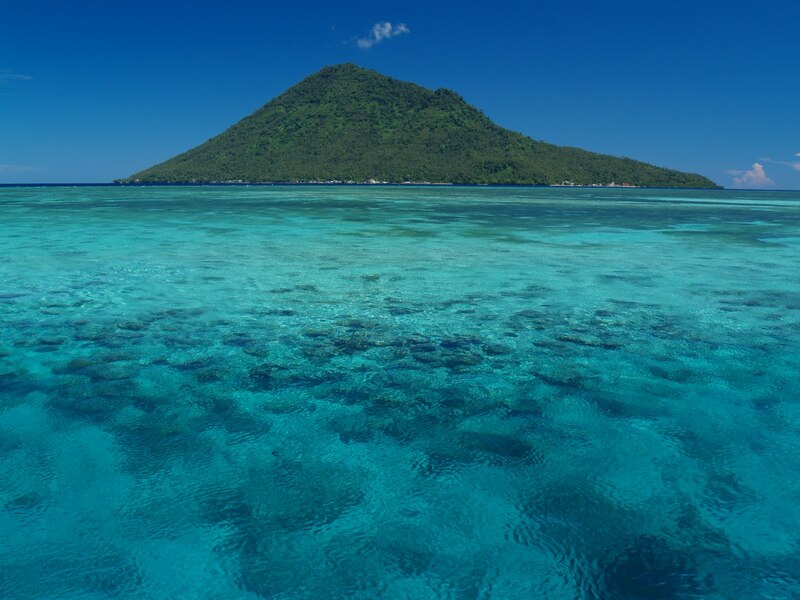 This area of Bunaken is always protected from the big thunderstorms of the bad season, and it permits an unusual growth of many species of hard and soft corals. This is the point with the highest coral biodiversity all around the area. Spectacular also for snorkeling, if you are lucky can spot also turtles and eagle rays swimming in the blue. 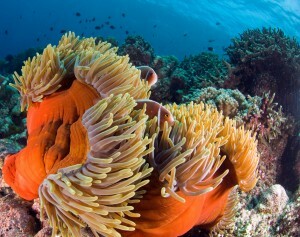 Located on the north west of Bunaken Island, this site was named after well-known underwater photographer, Mike Severns. A wall covered with a great variety of different, colorful corals is a home for a huge range of tropical reef fish, which makes it perfect for fish portrait photography. Big fishes are common guests to this site too, as it often has a strong current that is affected by the tides. The reef floor is covered in different types of Sponges that make it a great area for deeper diving. 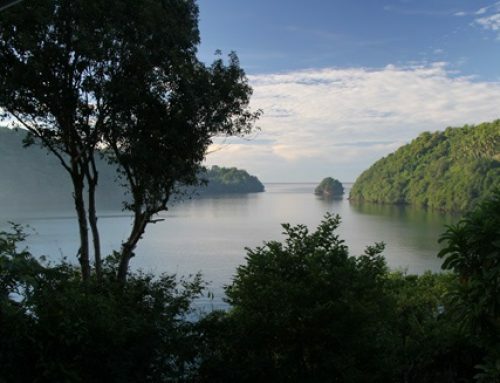 It is located exactly in front of the village of Bunaken. Strong current are prevailing in the area caused mostly by the location of the site. However, it is an interesting drift dive to cover a lot of area. Numbers of large Sea Turtles are common residents here. 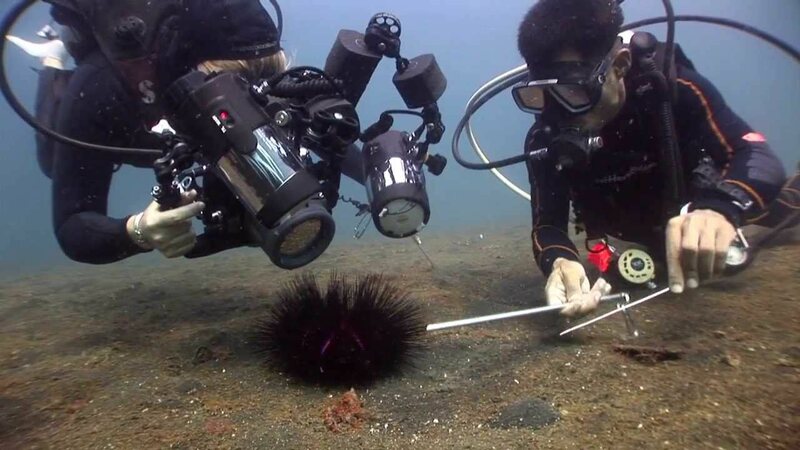 The site itself is well decorated with hard and soft corals along the wall with some overhangs and crevices where the small critters will draw your attention. School of Jacks and Barracudas can easily to be found as well as humphead parrotfish, napoleon wrasse and big Dogtooth tunas patrolling along the reef. The top of the reef is a perfect place for the safety stop, with depth around 4-5 meters. This site has excellent macro objects to offer. One thing for sure is that you have to pay attention on the disguised creatures. Leaf fish, Ghost pipefish to name a few creatures, which have been seen here. The wall also offers beautiful caves, which often became a sleeping place for white tip reef shark. Sea Turtles and Eagle Rays are something that you may also see. Located on the southwest side of Bunaken. Named after a Japanese dive instructor who first described the site in the 1980’s, Sandy slopes leading to patches of hard and soft corals. This is one of the dive spots around Bunaken Island with no deep wall reef. Going down to around 15 meters only, there are 3 Giant Clams that are placed in a row, always surrounded by loads of Butterflyfish that are not shy to approach divers. South from Mike’s Point lays a beautiful wall covered in sponges, with hard and soft corals. The rich environment of the wall has its own charm. This site also has a large cave and due to the strong currents often present, is the Bunaken site richest in Wire corals. A sandy slope site with occasional visitors such as Tuna, Jacks, Barracudas and not to forget Whitetip Reef Sharks and even occasional sightings of Gray Reef Sharks occur. The coral covered reef is not to be missed and observed as you can find Ghost Pipe Fish, Leaf Fish and also different type of anemone and Clown Fishes. A very steep Reef decorated with amazing soft and hard corals in the shallower areas of the reef. 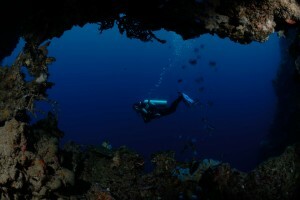 It is a vertical wall on the northeast side of Bunaken, with visibility frequently in the 30 to 40-meter range. In midwater, away from the reef, there are literally thousands and thousands of schooling red tooth Triggerfish. Large Gorgonians can also be found in the area. The slight current here means larger pelagics such as sharks, turtles, barracuda, and Napoleon wrasse, frequent the area other critters typically found here include moray eels, sea snakes, leaf scorpionfish, nudibranchs, crabs and shrimp. Siladen Island is a small island surrounded by a beautiful white sandy beach. The southern side of Siladen Island, Siladen has a vertical wall in large steps. The reef top is spectacular with a huge variety of hard & soft corals, and it is therefore an excellent spot for snorkeling. The colors of the corals here are just amazing – it is always amazing to find up to 10 different-coloured feather stars attached to a single large sponge. the sandy bottom offers lots of tiny creatures to be observed. 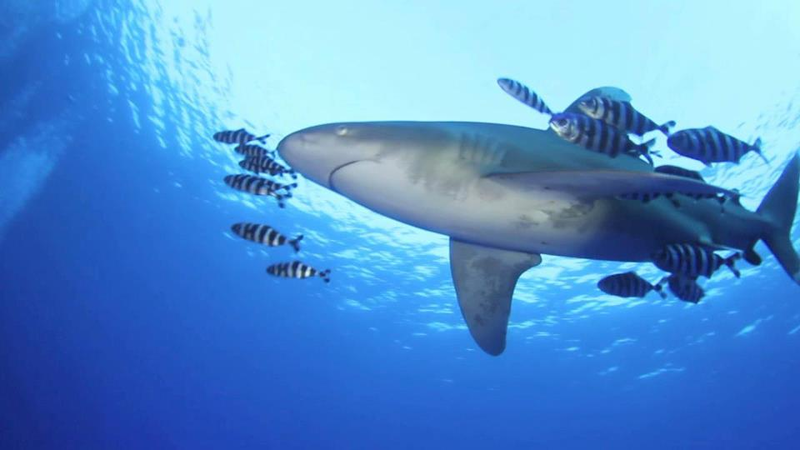 White tip Reef Sharks are regular visitors as current is often present on this site. The dive sites around Manado Tua have steep vertical winding walls with many cracks, canyons and small caves. You can enjoy beautiful hard and soft corals, reef fishes, turtles and reef sharks. Located in the Eastern part of Manado Tua Island, This site starts off with a slope going down to 30m and then continues to a vertical wall with a large reef flat rising to about 5m. Large Schools of big sized Barracudas, Batfish Napoleon Wrasse, schooling Banner fish and Butterfly fish can easily be found in this area. There are quite strong prevailing currents on this site, which make it a good place to see Sharks and Spotted Eagle Rays. The site is exactly in front of a Manado Tua Church. 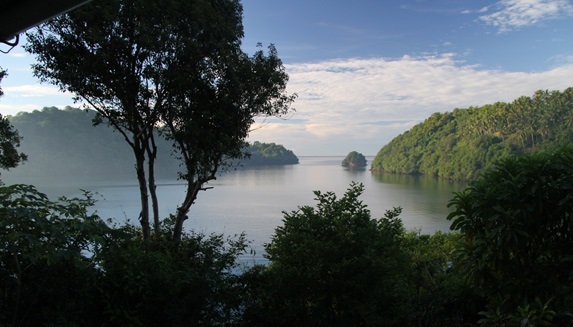 The waters around Muka Gereja are generally calm and offer excellent visibility with moderate to strong currents. It features an interesting, beautifully covered wall, with big barrel sponges, some of them almost 1 meter in diameter. The fascinating thing about this dive site is not only about what it has to offer underwater; the great volcano is an amazing sight when you surface. Another “fish Dive” – a real aquarium! The site is situated towards the east of Muka Gereja. Currents are very much depending on the direction and strength of the wind. With the same great visibility, there is the possibility to see Silvertip Sharks, on its sandy slopes around the 30 m mark. Around the wall, which is decorated with a huge variety of beautiful soft corals, resident habitants like the Banded Pipe Fish, Angelfish and other Schooling fish are almost certain to be seen. The dive site on the coast of the mainland which is called Tanjung Pisok has a reef flat sloping to 15-20 meters depth, and is very rich with large tabular sponges, reef fishes, nudibranchs, ribbon eels and unusual green tree corals. There is also a diveable wreck, the Japanese Cargo named Molas, which from what we can discern, takes its name from the village of Molas, on the more Northern side of Manado. The history books are not too clear about its fate, but we again have good reason to believe it was torpedoed around 1942. Sitting upright starting around 10m the propeller sits at 40m. Although not safe for penetration, remember to bring your dive light. You can opt to “sit out” the wreck and explore a reef close by instead. This site is the continuation of the Molas wreck reef slope in an easterly direction. It is a gentle dive with hardly any currents and great for macro lovers. The reef consists of a sandy slope with coral patches and finishes off as a little wall. Great for critters like ribbon eels, rare nudibranchs, leaf fish and frogfish, crocodile flatheads and such. It is a perfect dive to do in combination with the Molas wreck. Located exactly in front of a well-know seafood restaurant, this sandy area offers tons of critters to be spotted. Ghost pipefish, mimic octopus, Ambon Scorpionfish, Seahorses, Boxfishes, Flamboyant cuttlefish just to say some. And if you are lucky, this is the right place to see the Dugong. When you will go down in this site, the first impression would be something like “where the hell am I? ?”… Site directly exposed to bad season storms, present a lot of broken coral and rubble areas. However, it’s a paradise for nudibranchs and many other critters like ghost pipefish, boxer crabs, mantis shrimp and many more.